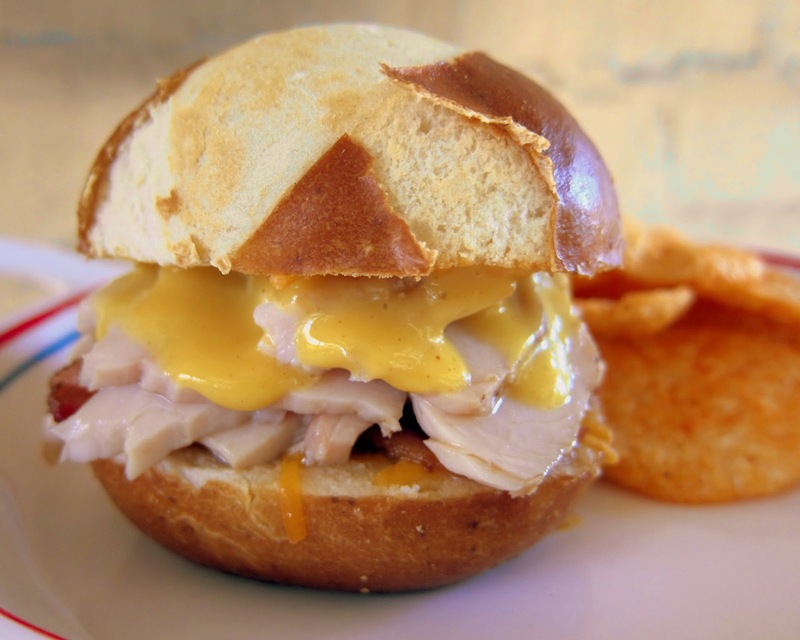 The Hot Turkey Club Dips are a great way to use up some of that leftover turkey from Thanksgiving tomorrow. These are also perfect for watching the Iron Bowl this weekend! 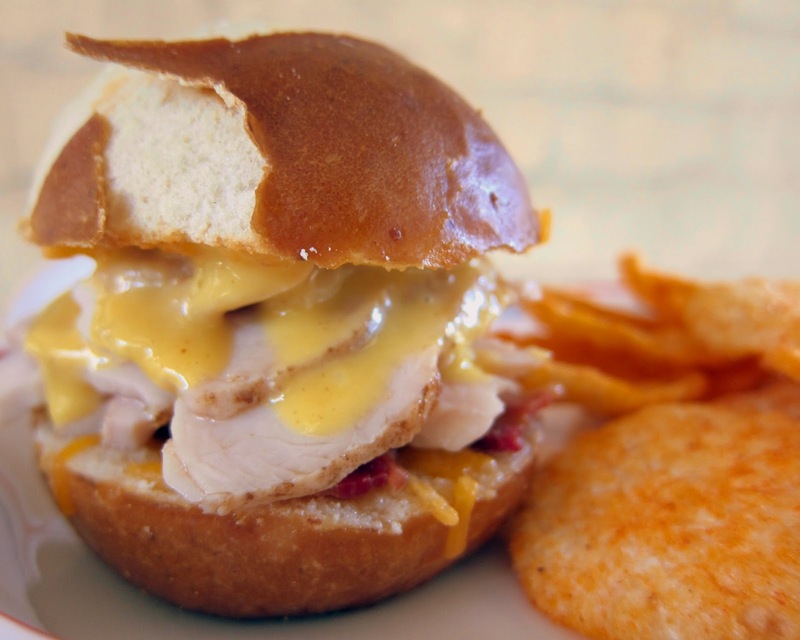 I dipped the turkey in some beef broth to give it more flavor and topped it with some honey mustard, bacon and cheese. They were so delicious. I can't stop thinking about these sandwiches. We used our favorite pretzel slider buns from Costco. If you can't get a pretzel roll, I suggest a french roll. You want a firmer roll for this sandwich. I am really looking forward to leftover turkey this year! Place rolls on a baking sheet; brush cut sides with garlic butter. Sprinkle with cheese. Broil 3-4 inches from the heat for 2-3 minutes or until cheese is melted. Spread honey mustard on half of rolls, top with one slice of bacon. In a large saucepan, heat broth. Place turkey into beef broth. Heat turkey for 30-60 seconds, until slightly warm. Using tongs, place turkey on rolls. Serve sandwiches with remaining broth for dipping. Looks like a delicious way to ease our football woes. Between Auburn and my UT and WV, they have a combined 3-19 in conference play and 13-20 overall - maybe better next year. I would enjoy these while YOU are watching the ball game. LOL...cause I don't watch football. Jami - I agree - they really get good once the juice soaks in the bread.